CTRL Collective LoDo is soulfully designed to celebrate Denver’s western heritage alongside its cosmopolitan aspirations. 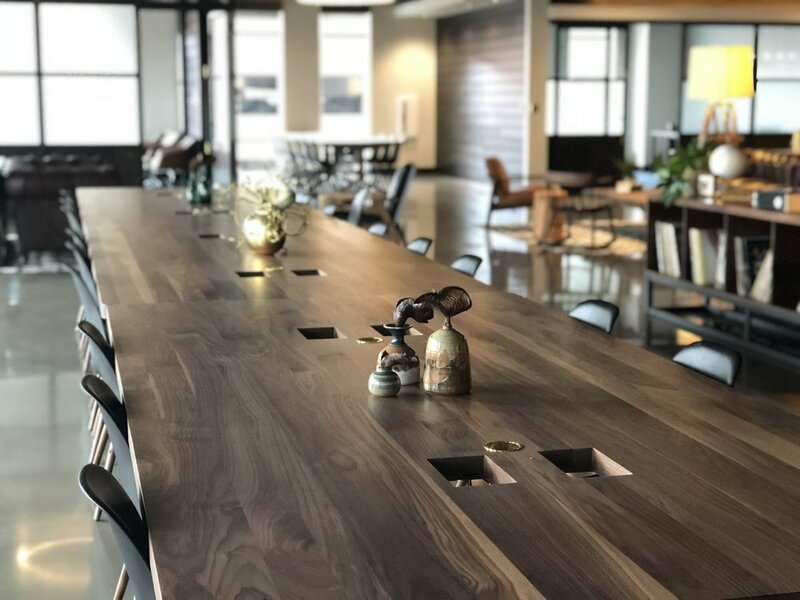 Boasting more than 40,000 square feet of collaborative work space, 96 private offices, 7 conference and meeting rooms, a game room, a photo studio and a shared kitchen, CTRL Collective LoDo is the ultimate hub for Denver creatives, entrepreneurs and startups. We welcome you to our piece of LoDo, where historic Denver meets modern flare. Full-service amenities include free wifi and color printing services, a game room, a creative studio, meeting and event space rentals (private office members receive daily! ), complimentary artisanal coffee & tea, a dog-friendly environment, video conferencing, 24/7 secured access, VIP member events and on-site, secured mail boxes. In addition, members enjoy convenient access to the on-site, state-of-the-art fitness center featuring two Peloton bikes, cardio and strength-training equipment, a fitness studio and locker rooms. We are pleased to offer our members exclusive partner discounts at select area retailers, including 15% off at The Milk Market. CTRL Collective LoDo is located in Denver’s hottest new micro-district, Dairy Block. Our neighbors include art galleries, boutiques, award-winning restaurants and craft breweries. We are centrally located just one block away from Union Station. Come via light rail, car, bike or simply walk. No matter how you arrive, you may never want to leave. Throughout Dairy Block you'll discover hidden finds, including local art and a milk churn that plays music. At the center of the project is the original alleyway between Wazee and Blake (the only private alley in all of Denver! ): a place to shop, eat and drink - featuring original buildings and architecture as the backdrop.